It’s hard to describe what makes Chicago so appealing. It could be the historical landmarks, the people’s pride, or the deep dish pizza. 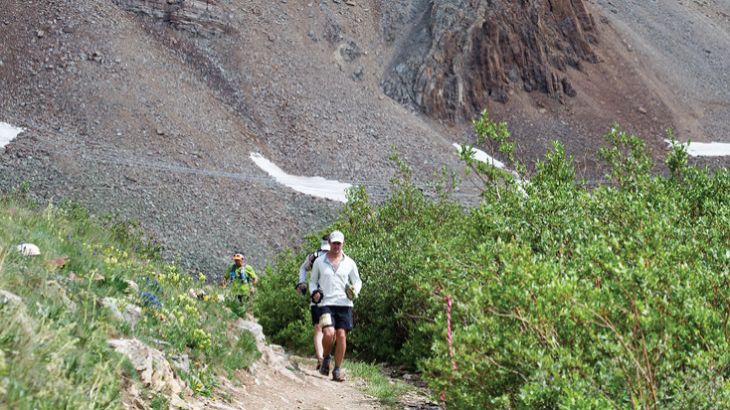 But there’s something for everyone to love, and the same goes for their endurance events. If you haven’t been to the Windy City, use some of favorite races in Chicago as your reason to visit. If you have been, use it as your excuse to go back. You can thank us later! Get ready for a chilly Chi-town run with the Polar Dash! Athletes brave the January cold to take on a half marathon, 10K, 5K or 1,700-meter run along Chicago’s Lakefront Trail. The low temperatures will keep you moving from Soldier Field past various parks and back, where you can warm up with a cup of hot cocoa at the finish. If you’re really feeling the power in your polar dash, complete the 1,700, 5K and 10K for the Yeti Challenge or swap the 10K for the Half in the Mt. Everest Challenge! If you’re a Cubs fan, this family-friendly 5K is the best way to see Wrigley Field! The course starts and ends at the stadium, looping through the Lakeview neighborhood. If a photo op with the Wrigley marquee isn’t enough reason to register, there’s also a huge charity component: proceeds help Cubs Charities increase access to sports and fitness opportunities for at-risk individuals. Plus, if you’re one of the first 100 people to raise $500, you get a baseball signed by current Cubs players! No matter your age or ability, the Hot Chocolate 15K/5K is the perfect way to start a Chicago winter. 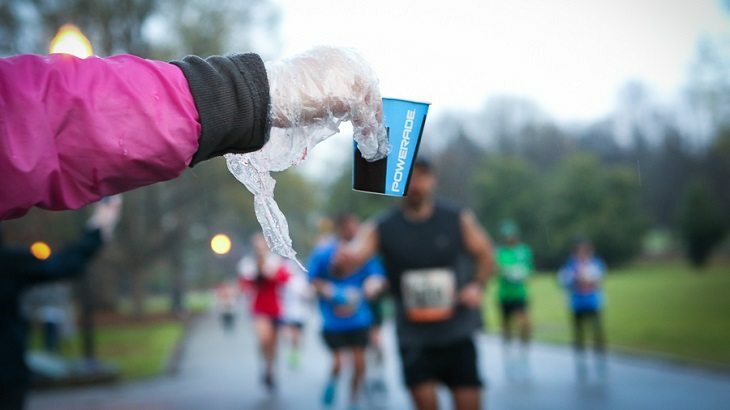 Both courses start and finish in Grant Park, dotted with “sweet stations” along the way offering marshmallows and chocolate chips. But the best part is the finish line, where you’ll be handed a finisher’s mug full of hot chocolate and other delectable goodies! You’ll also take home a high-quality finisher’s jacket to keep you warm the rest of the season. For those who are fans of both football and running, the Soldier Field 10 Mile is a solid way to experience Chicago. You’ll start in the park surrounding Soldier Field, home of the Chicago Bears, and take a mostly out-and-back course along scenic Lake Shore Drive. Then, return to Soldier Field for your photo finish in the middle of the stadium! Running-and-football fans will also appreciate the post-race tailgate party with live music and free beer from local brewery Goose Island. The Shamrock Shuffle takes place after St. Patrick’s Day, but don’t be afraid to don your favorite green gear! This unique 8K race winds through downtown and signals the start of the city’s spring running season. It’s quite the reason to celebrate, and Chicago doesn’t forget! There’s a great post-race party in Grant Park with beer and music, and the hoopla continues with an after-party at a local restaurant. The Chicago Half Marathon is one of the best races in Chicago for its home stretch down traffic-free Lake Shore Drive! You’ll have gorgeous, unobstructed views of the skyline and Lake Michigan as you make your way to the finish line at the golden Statue of the Republic. But before that, you’ll start your race in historic Jackson Park and run through the University of Chicago campus and charming Hyde Park neighborhood. The Rock ‘n’ Roll Half Marathon in Chicago is a race, concert, and city tour wrapped into one! Cheering spectators and local bands line the course as you groove your way through downtown, across the Chicago River, through the Theater District and past Soldier Field. But the party doesn’t stop at the finish line! Once you cross it in Grant Park, it’s time to dance the day away at the Finish Line Festival and concert. As the city’s only swim-bike-run event, the Chicago Triathlon does not disappoint! It packs the weekend full with five different triathlons: Olympic, Sprint and Supersprint distances for adults, and 2 kids’ divisions. Adult athletes will enjoy all that Chicago has to offer with a protected swim in the harbor, a flat ride through the city’s landmarks, and a final run along Lake Shore Drive to the finish in Grant Park! Leave your competitive spirit at home; Bike the Drive is all about enjoying Lake Shore Drive on two wheels! The route stretches for 30 miles, but you can bike as much or as little as you want. Just be prepared to ride alongside people of all ages as the event is more of a community cycling celebration than a race. In fact, your participation supports local bicycle advocacy! You can learn more about the mission and join fellow cycling enthusiasts at the post-ride festival for music and a pancake breakfast. You simply can’t beat a World Marathon Major! Athletes come from all 50 states and more than 100 countries each year to compete among 1.7 million spectators. It’s a flat, fast course known for setting records, but it’s also the city’s most comprehensive running tour! The race travels beyond the typical tourist sites into 29 unique neighborhoods with historical buildings and beautiful murals. If that’s not enough of a reward, there’s free beer and massages at the finish line. Is your can’t-miss Chicago race missing from our list? Let us know and join Athlinks to claim your results and find your next Windy City race!